On February 9, 2016, a protest was held in JNU against the death sentence given to Afzal Guru and Maqbool Bhat. At the event, reportedly anti-national slogans were raised. New Delhi: The Delhi Police special cell on Monday filed the chargesheet in the sedition case against three former JNU students. Former JNU Students Union president Kanhaiya Kumar, Anirban Bhattacharya and Umar Khalid were among those charged. According to a report by a leading daily, the other names mentioned in the charge sheet are Kashmir residents Aquib Hussain, Mujeeb Hussain, Muneeb Hussain, Umar Gul, Rayees Rasool, Basharat Ali and Khalid Bashir Bhat. Identifying the other protesters took the Delhi Police almost a year, said reports. Sources said Kanhaiya’s role in the event was that he didn’t try to stop it and he also knew that Umar Khalid and Anirban had called outsiders to the campus event. Video clips aired by Zee News were verified and the CFSL report said those hadn’t been tampered with. Kanhaiya has always maintained that they were targeted for raising issues. “Sedition is being used against those who are raising (public) issues. I never uttered any anti-national slogans. Nationalism is not silence over discrimination and injustice,” he told a news channel in an interview. “We want freedom, not from India, but within India – from poverty, inequality and exploitation,” he said when asked about his definition of freedom. “Afzal and Maqbool Bhat are not our heroes, but Rohith Vemula is. We want (Babasaheb Bhimrao) Ambedkar and Vemula to be born in every house,” he had said. 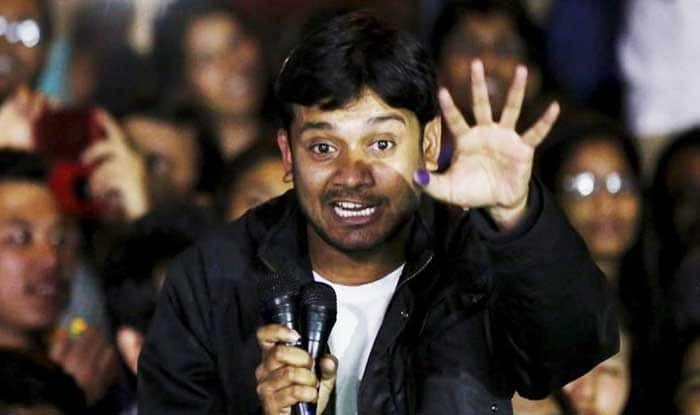 Kanhaiya is set to contest the 2019 Lok Sabha elections from Begusarai in Bihar. RJD leader Manoj Jha said that the government should not use these things to malign people and divert attention from the real burning issues.